In our Journey to Hope (which admittedly, was supposed to end at Easter, but I’m a little behind), we have explored several surprising places we may find hope. This is Week 5 of the series Journey to Hope, a Rethink Church study. The opening question of the discussion is “Are you indebted to banks or to people?” When leading a discussion about money with my youth, I framed the question slightly different. “Do you own your stuff or does your stuff own you?” We listed some of the things we own, and what they spend their money on. We had a list of things like clothes, phone, entertainment, food/snacks (beyond what their parents provide), video games, and books. It was an interesting discussion, and they seemed to understand the question, “Do you own your stuff or does your stuff own you?” We didn’t watch the video that was suggested by the study. Although I love Pink Floyd, the discussion didn’t need the added media to get it going. For the purpose of this blog though, I thought of a different song. We all like to throw around cliche’s like “money can’t buy happiness,” but money can be a powerful tool. I don’t believe that money in itself is an evil. It is a catalyst or an exclamation point. Money magnifies the character of the one that possesses it. It can be used for terrible harm and it can be used for a great deal of good. The reason I love “If I Were a Rich Man” is because it is so honest. Tevye doesn’t just say, “I’m happy as I am.” He knows that being wealthy could change his life. He also admits that he might be a little extravagant with his money. He would strut and preen. He likes the idea of people treating him better. He would get a bunch of animals so that they would make a lot of noise and point out to everyone that “Here lives a wealthy man.” Part of the song speaks of the kind of frivolousness that many of us dream of a little. I would buy a Jaguar. Tevye would buy one staircase going up, another even longer going down, and another going nowhere just for show. I appreciate the honesty of that kind of wishful thinking. There’s no sanctimonious piety. Then, he starts to sing about other, more valuable things. He starts to ponder the meaning of wisdom. He starts to dream of spending time in Synagogue. He dreams of sitting on the Eastern Wall. His passion and deep commitment to God starts to grow apparent has he dives deeper into his fantasy. Finally he comes to the ultimate fantasy – being able to sit with learned men and discuss the holy books for seven hours everyday. The mere thought of it gives him pause. That moment of the song – when he stops singing – is my favorite. To me that moment reveals so much of the character of Tevye. 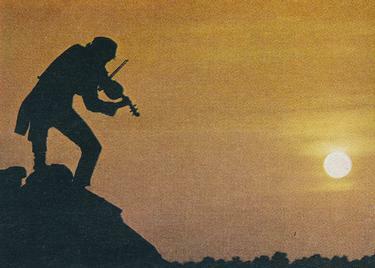 If you don’t know much about “The Fiddler on the Roof,” I apologize. You should go out and watch it (and I’m really excited that it is coming to Davenport this season). In this moment, I see the difference between the love of money and the love of what money can do. Herein lies the difference between owning your stuff and allowing your stuff to own you. When it gets down to the heart of the matter, it’s not the great staircases or loud animals that Tevye wants. It is the chance to get closer to God. Of course, if I were Tevye’s pastor, I would suggest to him that he can grow closer to God without money – but his heart is in the right place. For too many, money is an obstacle. It gets in the way of generosity, risk-taking mission, and genuine relationship. These are the things in life that are of value. It is very easy for the things we own, that we think are supposed to be serving us, become the instruments of the oppression we are trying to avoid. People claim that wealth is a sign of God’s favor. I don’t believe that. Others claim that God is on the side of the poor. I’m not sure when God chooses sides. I think what God wants is for us all to be in relationship with God and with one another. I think money can be related to that, but I think simplicity has more to do with it than a checkbook balance. Simplicity in life goes a long way, and often with money there are complications. Still though, I can’t help but wonder what it would be like to biddy biddy bum all day. This is Part 5 of the series Journey to Hope, a Rethink Church study. Temptation is an interesting subject for a study about hope. It doesn’t seem like it really fits. Where is the hope in temptation? I think that over the last six weeks I’ve discovered it. Hope does not dwell in temptation. Hope dwells in knowing temptation does not have to win. According to this week’s Journey to Hope, a 20011 survey listed some of the biggest temptations that people face. This list is a mix of some of the standby temptations – cheating, lying, anger, lust; and some very new, like the overuse of social media. Some of them have probably been around awhile, but I can’t help but feel that overeating, laziness, and procrastination have only recently ascended to such a high level. I’m not interested in posting an online confessional. I can say that some point in my life I have struggled with all of these temptations. Today some are stronger than others, but everyday we are all faced with strong temptation. The one that I’ve been working on the most lately is overeating. 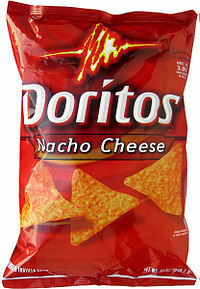 Temptation, thy name is Doritos. This is a picture of my strongest temptation. I remember once as a kid I ate an entire bag of Doritos while watching He-Man. I cannot tell you how much I would enjoy doing that exact same thing right now. But I’m not gonna do it. Over the last six weeks I’ve discovered a couple of things (that I already should have known). One is, I don’t have to eat Doritos to be happy. I can eat a lot less than I had been eating. About six weeks ago the Lose It! app came out for my Nook. I began using the app by giving it my weight (329 pounds as of 2/15/12). Then I gave it my goal weight. Then I told it I wanted to lose one pound a week. It then gives me a calorie budget. Everything that goes into my mouth goes into my app. For six weeks I’ve logged everything, and I’ve only been over my budget three days. It turns out, I can eat less. I’ve known for a long time that I ate too much, but I just couldn’t stop – at least that’s what I thought. In 2008 I started my blog when I was shocked to find out that I weighed 301 pounds. Ever since then, my weight has slowly crept up. I’ve gone through three sizes of shirts, and literally broken several belts. Over the last three years I have worked out sporadically, but the times I went to the gym simply slowed the gain. I think that the last time I lost any significant amount of weight was 2006, when I ran a 5 mile St. Patrick’s Day Run in St. Louis. Ever since then, it has been a steady climb. Finally though, I feel something has clicked. I’ve had a turning point in my life, and it started with using that app. It has changed my relationship with food. I am still tempted by the bag of Doritos and the brownies and the second helping, but I’ve said “no” to temptation more times in the last six weeks than I had – maybe ever. On February 28, about two weeks into my Lose It! experience, I set a few goals that I wanted to achieve by June 1. I wanted to weigh under 300, bench press 300 pounds, and run a 5K in under 40 minutes. Today at the gym I weighed 303 and I ran 3 miles in 40 minutes and walked the last .1 mile, finishing a 5K on the treadmill in 42:00. I’m so close. Yet I’m so far away. I have a long way to go, but I know that I am going to succeed. I’ve invited God along with me on this journey. My wife has also dedicated herself to our new lifestyle. I have a whole group of friends at church that are doing a 90-Day challenge with me. I also have about 1000 “fans” on Facebook that encourage me every time I post something about my workout. I think this is the key to fighting temptation. The people on this journey with me have been instrumental in my recent success. Doing it alone is a formula for failure. We are called to be in relationship for many reasons. Accountability, inspiration, motivation, and support are just a few of them. This is Part 4 of the series Journey to Hope, a Rethink Church study. “A Field of Dreams” has long been my favorite movie, but probably not for the reason you think. I’ve seen it so many times, I can practically recite it for you, word for word. Most people think of it as a baseball movie about a man’s relationship with his father. Much of the main character’s motivation is to “prove he’s not like his father.” The two suffered an emotional detachment, manifested in Ray’s refusal to play catch with his father. The emotional climax of the movie for Ray Kinsella is when he sees that among those that have come back from “the corn” to play baseball is his Dad. Ray then introduces his Dad to his wife and daughter, and the tears begin to flow freely when he says, “Dad, Wanna have a catch?” I still get choked up whenever I see this part of the movie. While reconciliation and healing is one of the primary themes of the movie, another is vocation. Ray’s pursuit of the mystical inner voice telling him “if you build it, he will come” drives the story. His ability to pursue his own dream over the demands of society, bills, and culture provide the primary conflict. Vocation is also the primary theme for two other characters: Moonlight Graham and Terrance Mann. “Son,” Doc says, “If I had only been a doctor for five minutes, that would have been a tragedy.” Later in the movie Graham appears as a wide-eyed youth, getting to play baseball with his heroes on Ray’s magical field in the corn. Once again, he chooses to be a doctor over a ballplayer and saves Ray’s daughter. The Terrance Mann character is loosely based on JD Salinger. During the movie he is described as “the voice of his generation… He coined the phrase ‘make love, not war. '” As an adult, Mann becomes a modern-day hermit. After being on the cover of Time, and hanging out with the Beatles, Mann withdraws from the public eye. He grew weary of everyone looking to him for answers. He became burned out by “leading the cause.” Kinsella pursues him, and takes him to Iowa. It is Mann that recites the famous “People will come Ray” monologue. It is a beautiful ode to baseball, and the character’s deep love of baseball is clear. All through the movie though, Mann’s role is unclear. In the heated exchange between Ray, Joe, and Terrance, the three come to realize why Terrance was there. Terrance, who hadn’t written a book in twenty years says that he will write a story about it. “You’re going to right about it?” Ray says, with not a small hint of hope in his voice. “It’s what I do,” Terrance replies. “It’s what I do.” Mann was a writer. Moonlight Graham was a doctor. These were not just the things they did, these things are their vocation. It is who they are. The entire movie is about a search. It is about a man with a mid-life crisis, trying to discover who he is. He discovers that he is a husband and a father and that is enough. A doctor relives his boyhood dream, but knows that in the end he is defined by being a healer, not as an outfielder. A burned-out activist remembers what is deeply inside him, and he promises to write again. This week’s study on Journey to Hope is about work. Do you find hope in your work? I think there is an important distinction between work and vocation. I have had a lot of jobs. I’ve been a painter, a gas station clerk, a coach, a sportswriter, a bag boy, and many more things. All of those jobs paid me, but only some of them fed me. My hope is not in my work. Though this is easy to say as one that is gainfully employed. I understand that to some, finding work would be a great source of hope, but I’m talking about something deeper than a paycheck. My hope is in my vocation. It is in knowing that God has created me with a mission. God has gifted me with talents, but more than this, I have been given a reason for living. My vocation is writing, preaching, and teaching. These are the things that feed my soul. These are the things that feed my fire and passion for God. They are more than the things I do. They are a part of who I am. I am lucky because my job aligns closely with my vocation. I am able to be compensated for doing those things that I would be doing otherwise. I think it was the football player Ray Lewis that said, “They (the team that pays me) get Sundays for free. They pay me for the rest of the week.” That is similar to how I feel. I worship, preach, and teach for free. It is the other stuff that the church has to pay me for. When you think about your job and your vocation, how are they related? Spending time and energy in pursuit of things that are not your vocation will lead to tiredness, exhaustion, and burnout. If your job and your vocation are closely aligned, then you can count yourself blessed. If they are not, then you need to be extra vigilant. I would suggest to search deeply for what feeds you, and pursue that in addition to your job. Sabbath rest becomes crucial when you are spending energy in places that do not feed you. Sabbath provides a time and space for you to be refilled by the Spirit. It gives you a chance to discover your vocation through prayer and quiet time. Listen to your inner voice. It might be telling you to build a baseball field in the middle of a cornfield. The neighbors, the bank, and the rest of society might think you’re crazy. Pursue your vocation anyway. Be who you were called to be. “Believe it or not, I’m walking on air. I never thought I could be so free. Flying away on a wing and a prayer, who could it be? Believe it or not, it’s just me.” These are the words to one of my favorite songs. 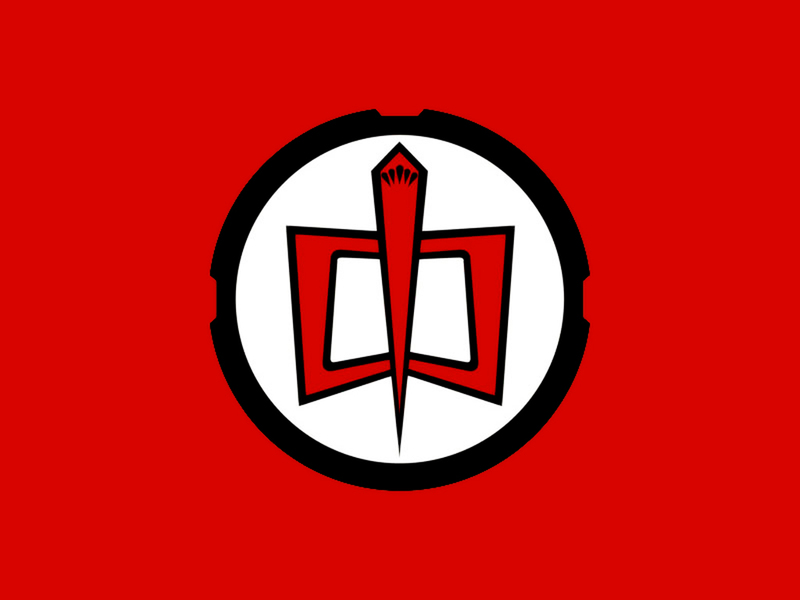 When I was a kid I loved “The Greatest American Hero,” and this was the show’s theme song. I don’t remember a lot of details about the show, but it was about a guy that was given a suit with superpowers. He promptly loses the instruction book, and hilarity ensues. A psychologist (or just anyone that knows me) could have a field day explaining why this show was important to me. If I’m in the right mindset, I still get goosebumpy and teary-eyed when I hear this song. Sometimes when someone shares with me who much they enjoyed a sermon, or when a blog post gets popular, or when I get a letter from someone who’s life I shaped, I find myself wondering, who could it be? Believe it or not, it’s just me. I mean really? I’m the one that did that good thing? There are so many times in ministry that I’m simply flying away on a wing and a prayer. Is it possible to be at the same time supremely confident and terribly insecure? At any given moment, I could be either of those things or both, but overall I find hope in self-esteem, because my self-esteem is paradoxically not all about me. My answer is, “Yes.” Let me explain: It was when I discovered the true power of the love of God that I realized that I could love myself. Once I started to love myself, I could truly experience the love of God. I don’t think I can separate these two events, because it was a process of self-discovery that cannot be drawn out in a linear explanation. During my middle school years I discovered two things. At about the same time I discovered that I was good at something, and I discovered that I didn’t need to be good at anything to be loved by God. The result was a confidence in self that was at the same time selfless. I cannot point to a day or time that I “met Jesus,” or was “born again.” I can point to a few people (Steve A, Heather H, Mrs. Schmidt, Mrs. Martin, Mr. Graba, and above all, my family) that loved me, appreciated my input, and encouraged me to be and do more than I ever thought possible. My self-esteem comes from outside-in. It comes from the God that created me, and breathes life into me. It comes from the knowledge that no matter what, God is with me, empowering me and sustaining me. It comes from the knowledge that my talents, skills, and intellect are not enough to save the world, but I don’t have to do it on my own. My self-esteem comes from the inside-out. It comes from the knowledge that my talents, skills, and intellect can be used to change the world for good. It comes from my experience, my failures, and my victories. It comes from the knowledge that today I can do something powerful. I define myself as beloved child of God. Nothing more, nothing less. Everything else that describes me is a subset of my primary identity. I am a father, a son, a brother, a friend, and a pastor. I am educated, affluent, American, Irish, and Italian. I am strong, athletic, intelligent, and compassionate. I am forgetful, lazy, fearful, and overweight. These things are all descriptors. None are definitions. My hope does not rest on any of these characteristics. My hope doesn’t rest on the power of a special suit, or on the hope that I might find the instruction book someday. It resides in the knowledge that I am a beloved child of God. I am created in the image of God. I am redeemed by the love of Jesus. I am sustained by the power of the Holy Spirit. This defines me. Nothing else. Greatest American Hero movie? Nope. I think this might be my new Facebook cover photo after the NCAA tournament is over. It is an interesting question, and one that starts an online Bible study produced by rethinkchurch.org. “A Journey to Hope” is a seven-week look at where hope can be found. Hope can be found in the most unlikely of places. In the midst of brokenness and disorder, hope can emerge. 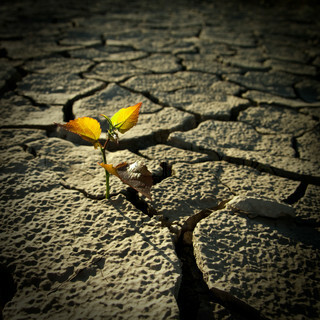 Like a lone sprout emerging from dry, cracked ground, hope defies the odds. For the next few weeks, I am going to follow this study as it looks at relationships, self-esteem, work, money, suffering, and ends with hope. The study will include questions for reflection and discussion, video presentations and Biblical commentary. I’m looking forward to taking this journey, and I invite you to take it with me.